If you are looking for a new career in fashion make-up artistry, look no further. The London School of Make-up can help launch you into the industry with our intensive make-up courses. All of our talented teaching staff are full time celebrity working make-up artists from the industry whose make up artistry, knowledge, techniques and experience will be passed on to you and help you aspire to which ever level you are hoping to reach. There are many different facets when choosing to work in the make-up industry, from high fashion photographic work to studio and cat walk plus theatre and special effects or maybe you are just interested in special occasion and bridal make-up. Our talented celebrity artists are here to take you through an exciting journey of all these different techniques. 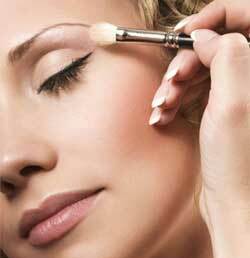 While on the course you will also experience what it is like to work in a professional make-up studio environment. 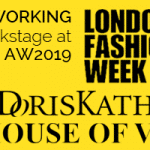 During your time with us you will be exposed to a wide range of international fashion designer brands of make-up such as: MAC, Bobbi Brown, Shu Uemura, Nars and many more helping you to widen your brand knowledge. It’s possible to break down your courses into manageable sections starting off with a foundation course either during the day or weekend and then moving on at a later date to fashion and media level. 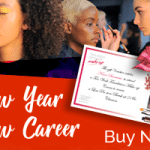 The majority of professionals working in make up artistry are self-employed and therefore depend on finding jobs through their on line portfolio of work and in some cases via connections with photographers, stylists and agents. Therefore the importance of networking cannot be stressed enough; however the rewards and satisfaction in this exciting job are enormous. Don’t worry if you have no knowledge before attending our foundation courses at The London School of Make-Up our professional working make-up artists are here to help, encourage and draw out any hidden talent within you. Our courses are designed to be intensive with as much hands on experience as possible and we are sure you will find it an engaging and exciting curriculum. For more information on our courses whether its foundation, photographic, media or even bridal just click here.